Pictured: The little book of Sandymount. 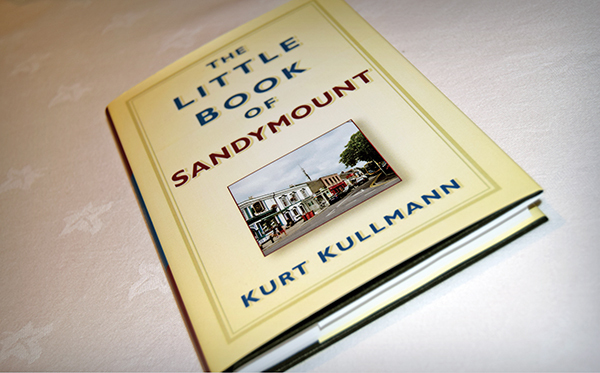 Kurt Kullmann has written another local book about Dublin 4, titled ‘The Little Book of Sandymount’. The book begins with a description of the contentious borders of Sandymount, which can extend from Bath Avenue in the north to Merrion Gates in the south or in some opinions can stop at St. John’s road in the south. Indeed, for some it included Sandymount tower, which itself is in Irishtown. This light-hearted and warm tone continues throughout the book as Kullmann illuminates various aspects of Sandymount, such as the dangerous sand dunes on Sandymount beach or the puzzling origins of place names. There was also local distilling in former times as emigrants came from Scotland to settle here with quite some success. Robert Haig, bought the Dodderbank Distillery in 1795 and improved it so that “it became one of the big distilleries in the Dublin area,” according to Kullmann. The distillery closed in the 1840s. Overall though, Sandymount was primarily residential. 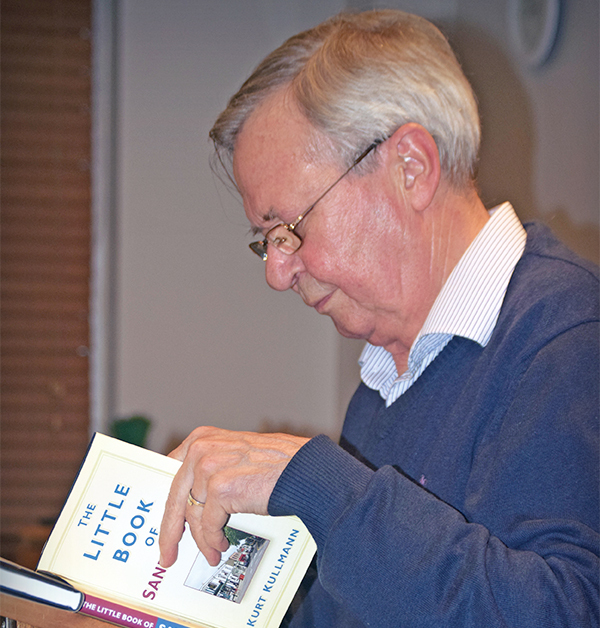 Above: Kurt Kullmann and his latest book. Speaking to Kullmann about his book, I posed the question about the nature of religion in the area, considering the “well-to-do citizens” who arrived in the 18th century were most likely protestant. He informed me that there was a great deal of mixed marriages in the 19th century, which lead to the slow change of the area from predominantly Protestant to predominantly Catholic. The local order, the Religious Sisters of Charity, are significant here, as they themselves were catholic nuns who were set up by Barbara Vorchild, a catholic agent of the allegedly crypto-catholic, or secretly catholic Herbert Estate owners. She set them up in order to run a local school for the poor girls of the area. She is also responsible for a substantially low rent of £10 for Sandymount parish church, Our Lady Star of the Sea. Kullmann was happy with his book. He wished he could have put more pictures into it. However, one particular picture that is painted is of a local statue, An Cailín Bán, which stands on the Promenade in Sandymount. It was created by Carbajal Gonzaléz in 2001 and donated to Dublin by Mexico in 2002. It is known locally as Awaiting the Mariner. According to Kullmann “not everybody liked it and it acquired the nickname “The Sore on the Shore”. The Little Book of Sandymount is available at Books on the Green, Sandymount.